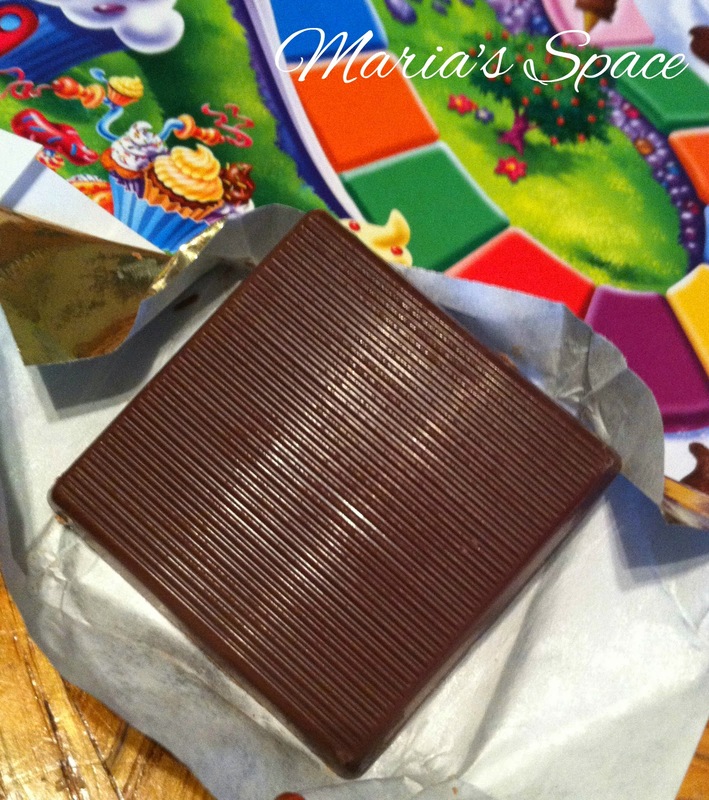 Maria's Space: Play A Game, Win Some Chocolate!!!!! 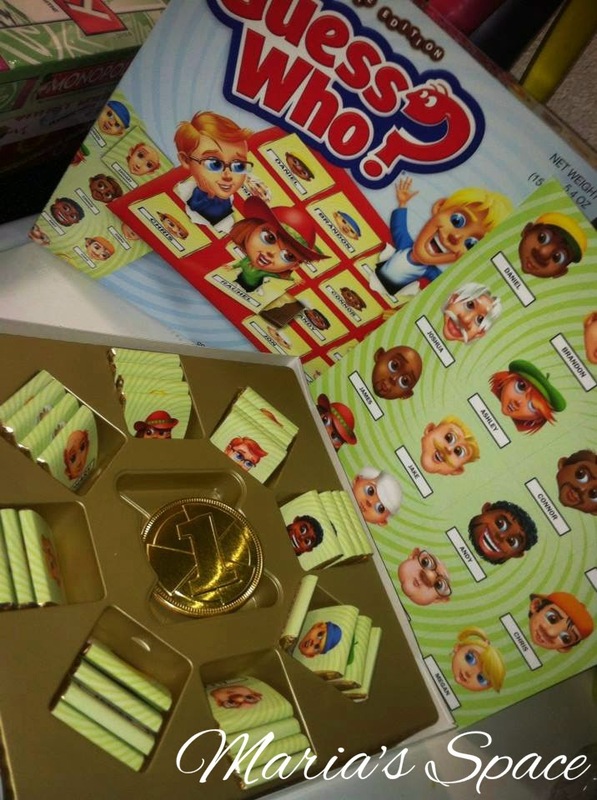 Your Favorite Childhood Games Are Now Much Sweeter!!!! 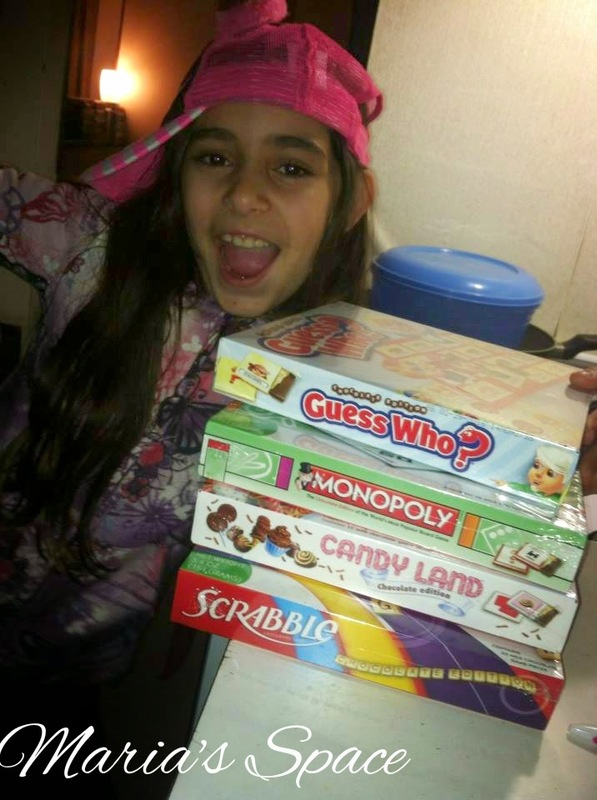 Play A Game, Win Some Chocolate!!!!! Your Favorite Childhood Games Are Now Much Sweeter!!!! 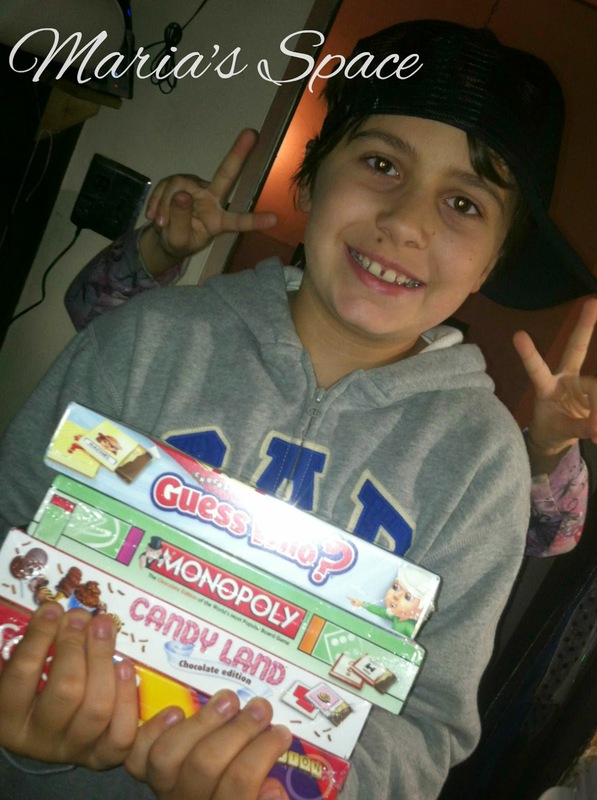 Gamesformotion (http://www.gamesformotion.com/), has released classic childhood board game favorites including Candy Land, Monopoly, Clue, Battleship and more, that will include Belgian milk chocolate encased within printed wrappers. Rules for all of the games have been slightly modified by Gamesformotion to ensure they’re always fun and easy to play. 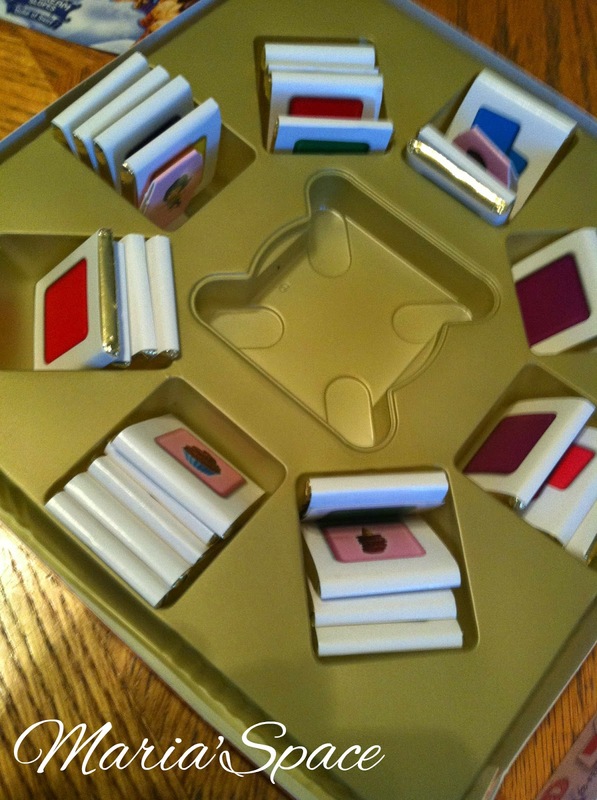 Who wouldn't want to play for some chocolate? Bragging rights are great right but NOW you get chocolate!!!! 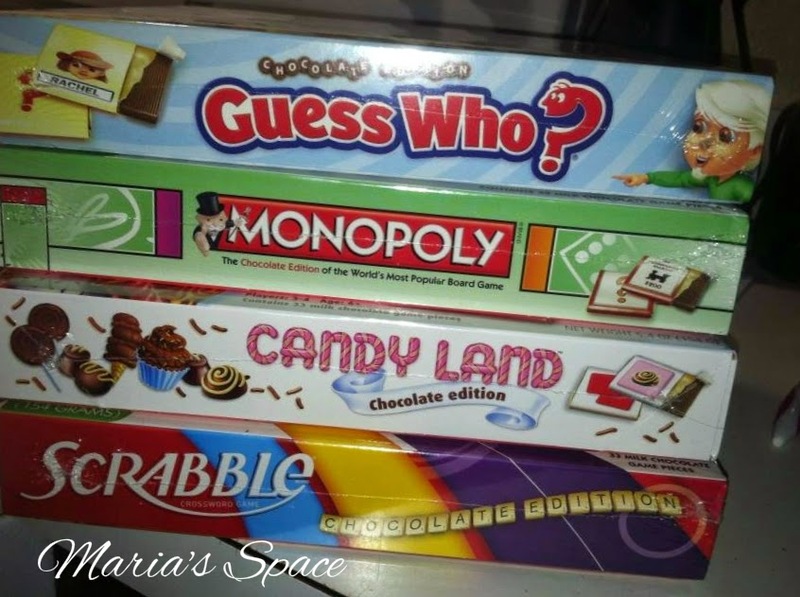 The chocolate games will be available just in time for the holiday season so start looking for them in November in mass retail stores like CVS, Target, Kmart, Amazon.com, Meijer and Fred Meyer, Bed Bath & Beyond and more. Retail price will be about $9.99. Handsome and Goddess where way excited to get these games obviously! We started with Guess Who which is a game they play more than any other. They played enough rounds until the chocolate was all gone! We had to split the HUGE gold chocolate coin in the center. No one wanted to not have it! 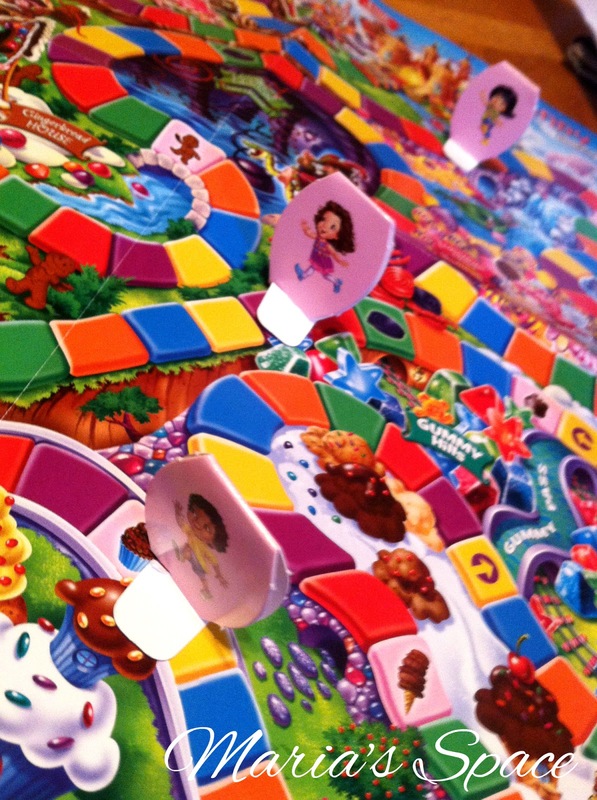 Next they moved onto Candyland! Who hasn't played this game? Look how colorful this is! We love it. So much fun! We think that since people like to bring candy when visiting this just adds something a little special. 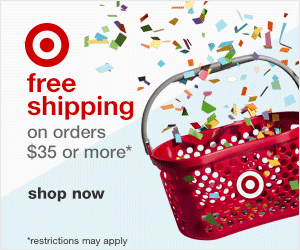 Great hostess family gift if you are visiting for Thanksgiving or Christmas. Also because of the price, great stocking stuffer item. 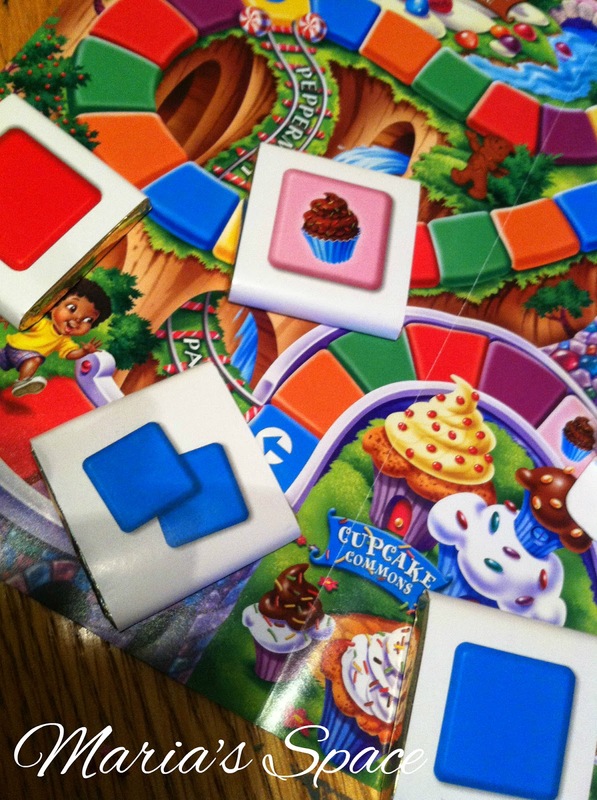 Get the kids to put down their electronic devices and have a sweet, fun game night. 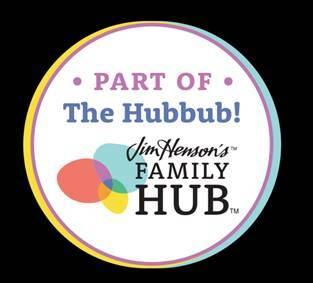 Your family deserves it. For more information on Gamesformotion visit http://www.gamesformotion.com/. Gamesformotion is a Netherlands based company that creates tailor-made games for any purpose, from advertising to education. 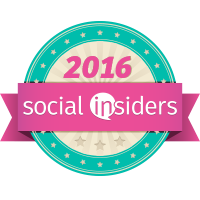 Besides developing their own selection of games, the company also produces popular, well known branded games as well. 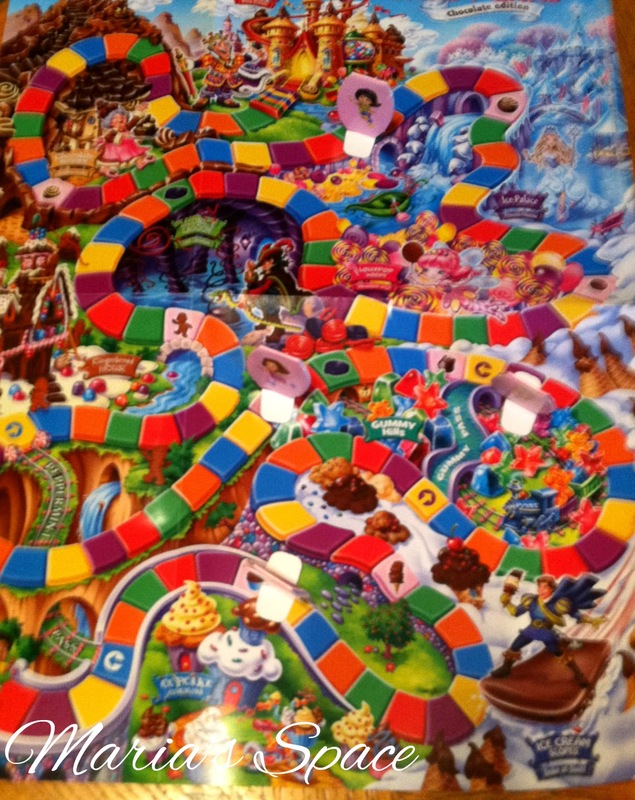 The company’s range of entertainment also features unique chocolate editions of the world's more favorite games such as Monopoly, Trivial Pursuit™, Twister Scrabble®, Pictionary, Clue, Twister, Battleship, Mr. Potato Head, and Memory. Wow! This would make so the"missing game pieces" would never get stepped on by me, in the middle of the night. Lol They would be "missing" forever!